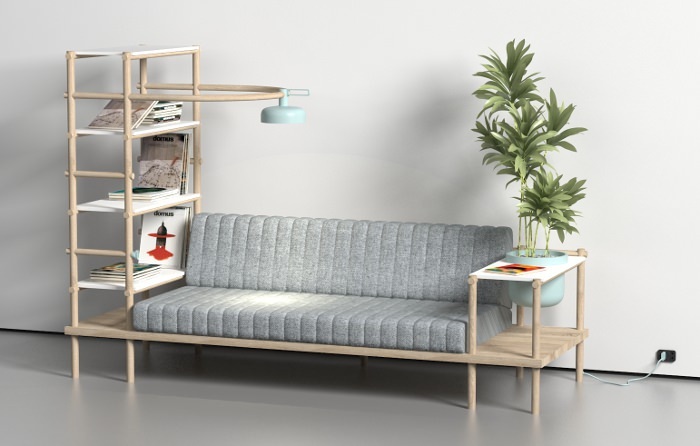 Furniture designer Burak Kocak has created Herb, a compact living space built around a central sofa. 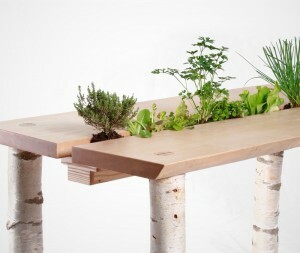 Herb was designed for compact city dwellings and would be ideal for a studio apartment. 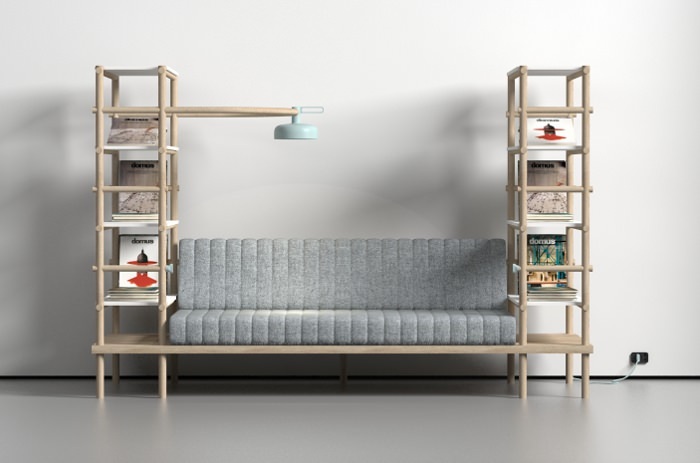 It essentially is your entire living room, and only takes up 2.16m² of floorspace! 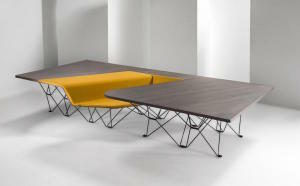 Herb is a modular furniture piece which can be reconfigured to suit the user’s needs. 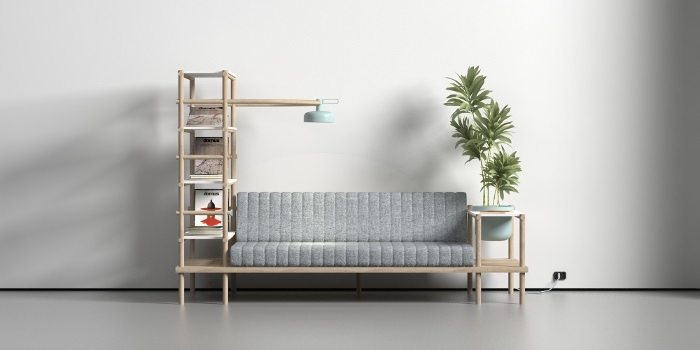 It manages to combine a bookcase, lamp, side table, electrical plug outlets and of course a sofa – all while maintaining a minimalist persona thanks to the use of unfinished oak rods of uniform diameters. 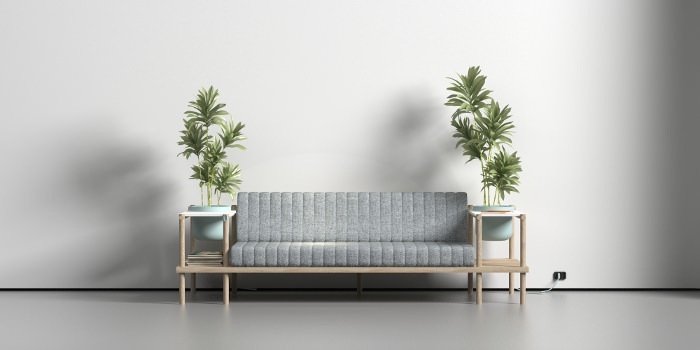 The seating section is upholstered in Kvadrat Hallingdal 65 grey wool and could comfortably seat 2 occupants. 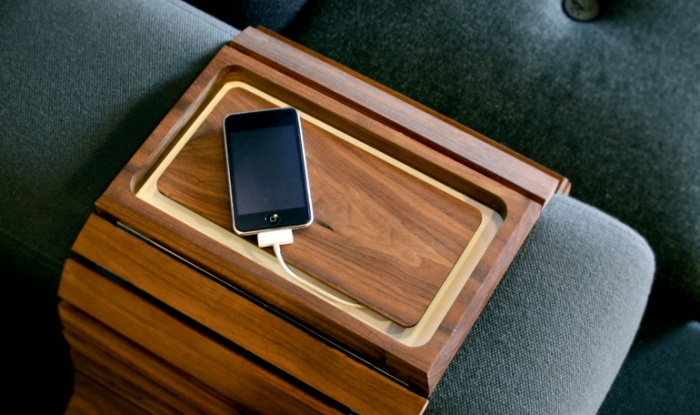 The integration of electronic outlets is something I really like to see in furniture design and is a strong sign of designers taking the usability of their pieces into consideration. 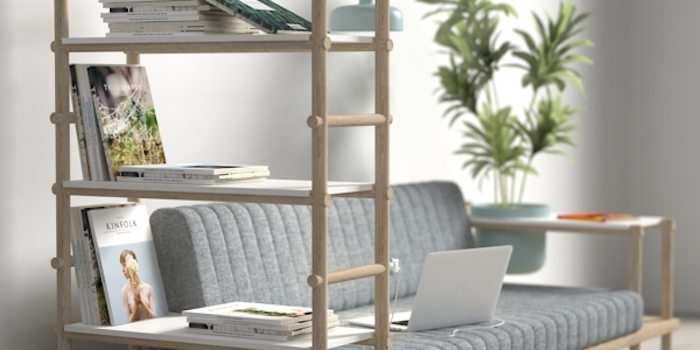 Wires are everywhere nowadays with ‘cable clutter’ being one of the major bugbears of our homes, and yet mainstream furniture does little in the way of providing cable management solutions. 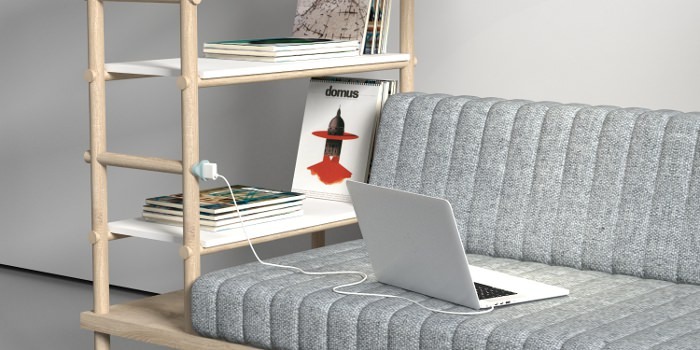 Herb features two plug points, one on either side of the sofa, which would be ideal for keeping laptops charged while in use, or for charging smartphones as they rest on the shelves. 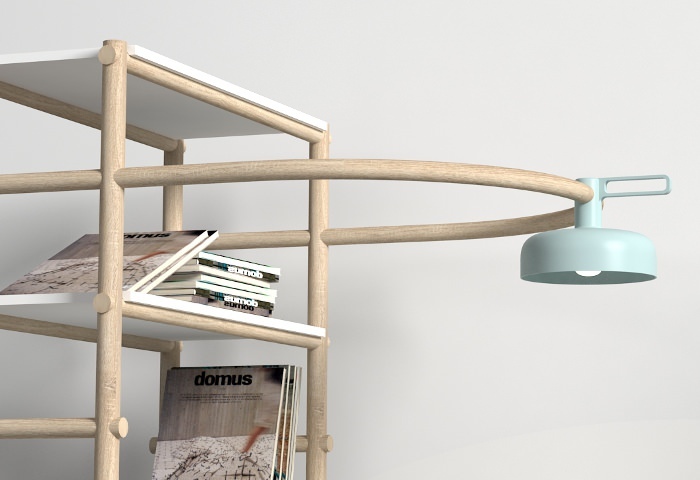 A simple lamp, which is fixed to a round loop of oak dowel above the sofa, is also powered by Herb’s integrated wiring and is testament to Burak Kocak‘s ingenuity in making Herb an all-in-one furniture piece. 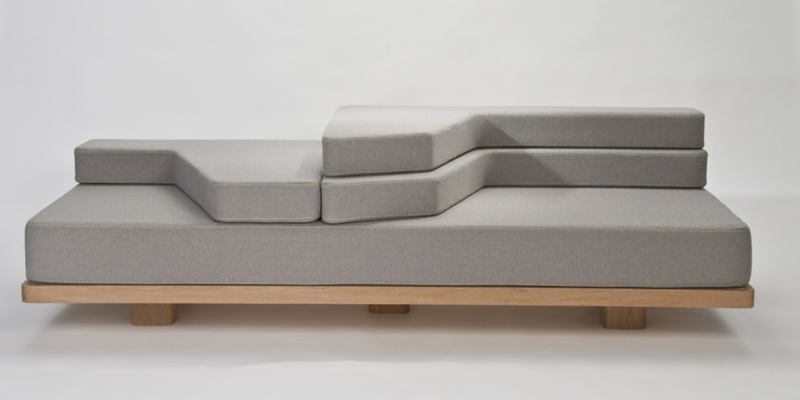 How can I buy Matthew Pauk’s Slot Sofa??? Nice piece of kit. 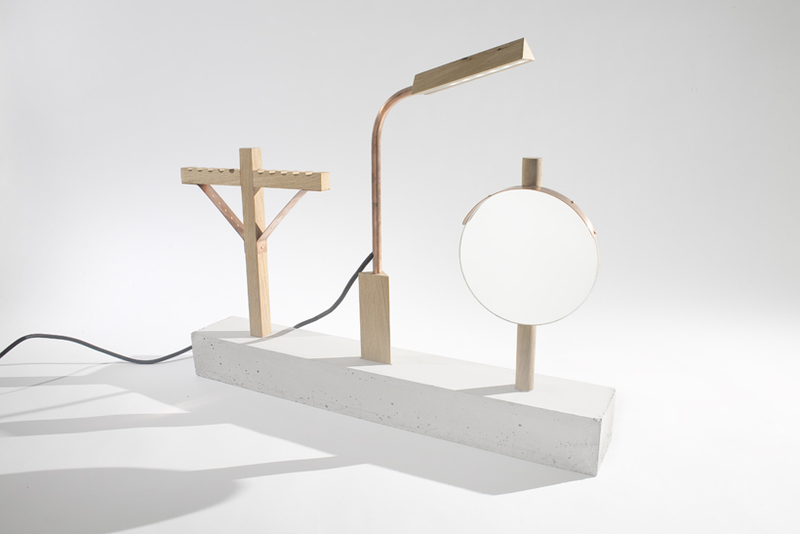 Do you run the wires through by yourself or they are already installed with the purchase ?